An extension to Article 50, which would delay the EU withdrawal, seems the "only possibility", three EU sources told Euronews on Wednesday. The UK is set to depart the EU in 44 days and Brussels and London scrambling to agree on divorce terms, namely due to issues over the Irish border with Northern Ireland. The sources said the EU needs an agreement that "commands a proper majority" but added that the UK would have to request a delay to Article 50 if it wanted it. Chief UK negotiator Olly Robbins was overheard in a bar in Brussels saying the EU was likely to allow an extension to the Brexit process. On Wednesday, Theresa May played down the possibility of a delay and told MPs in parliament they should not rely on "what someone said to someone else as overheard by someone else, in a bar". Adding, "It is very clear the government's position is the same." European Council President Donald Tusk said on Wednesday the EU was still waiting for the UK to present solid proposals to break the impasse over its exit. "No news is not always good news. 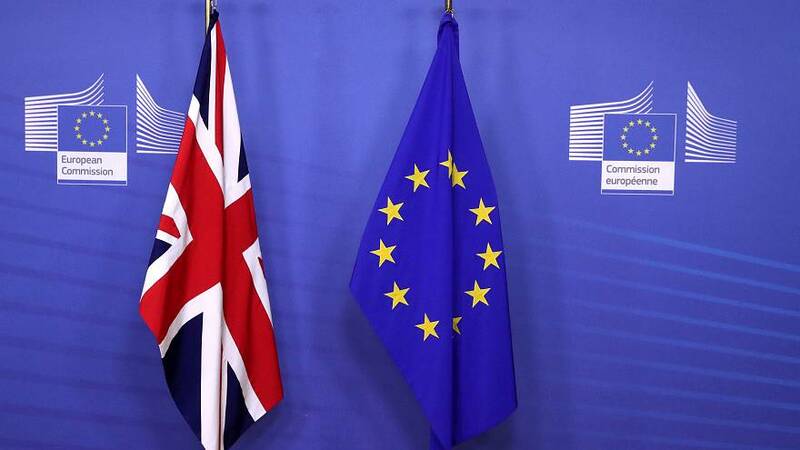 EU27 still waiting for concrete, realistic proposals from London on how to break Brexit impasse," Tusk said in a tweet after meeting the EU's Brexit negotiator Michel Barnier. The UK's Brexit Secretary Stephen Barclay met with his European counterpart Michel Barnier on Monday. While one EU source said “everyone is thinking of ways to find an agreement which can be passed in the UK" there were still no new proposals on alternative arrangements. Conversely, Theresa May announced to the UK parliament on Tuesday that she had made three suggestions to Brussels on alternatives to the Irish backstop arrangement, which had already been rejected and were not new ideas. Some UK Ministers fear the current backstop plan could keep Northern Ireland under EU rules indefinitely. EU leaders have repeatedly said it would not be possible to replace the backstop as it is required to ensure no hard border between the nations. “We don’t think there are alternative arrangements, they don’t exist,” the EU sources said. “If you step back from all of this, the backstop is not the issue. It’s not our problem - it’s something that needs to be sorted out in London." “It’s so dangerous - it’s already causing problems. It’s already creating division in Northern Ireland,” they added.